I have been a huge fan of Tervis ever since I discovered one about 5 years ago. Peyton was around 1 years old and I would spend at least an hour a day in the car driving to and from work. It was a long car ride and was looking for a beverage container that would keep my drinks cold or hot, depending on the season. 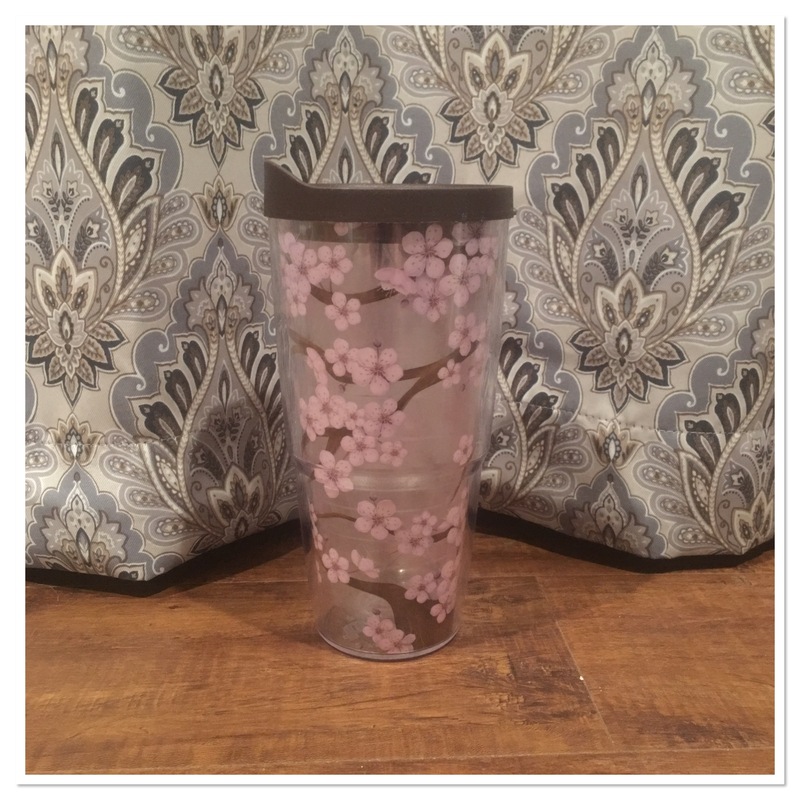 I found this amazing cherry blossom Tervis cup and fell in love with it. I had never heard of the brand and I didn’t really know much about it. I just knew I loved the design! So I bought. I remember it was spring time and I was a lemon water kick. I craved ice water with lemons. So that morning I filled my new cherry blossom designed Tervis cup with ice, water and lemon slices and headed off to work. Even after the hour drive through traffic my water was ice cold and I had plenty of ice still in my glass. I was pretty impressed. Whenever I had used water bottles, the ice would be melted by now. When Peyton was about 3 I bought her, well Santa bought her, a Sofia the First Tervis cup. I loved mine so much and Peyton was just like mommy, forever drinking lemon water that I wanted her to have a glass like mommy. Peyton is now 6 years old and she still uses her Sofia the First Tervis cup. Each Tervis cup we own comes with a plastic top that helps to keep whatever you are drinking inside your Tervis. There’s a little slide that creates an opening when slide up to let you drink out of the glass without making a mess or spilling. This is perfect for traveling. I like to use my Tervis glass when I am working on my computer because I can slide the lid closed and then not worry about spilling if I accidently knock over the glass. Tervis comes in a wide variety of sizes. Peyton has the 8 ounce Sofia the First Tervis and I prefer the 24 ounce Tervis. 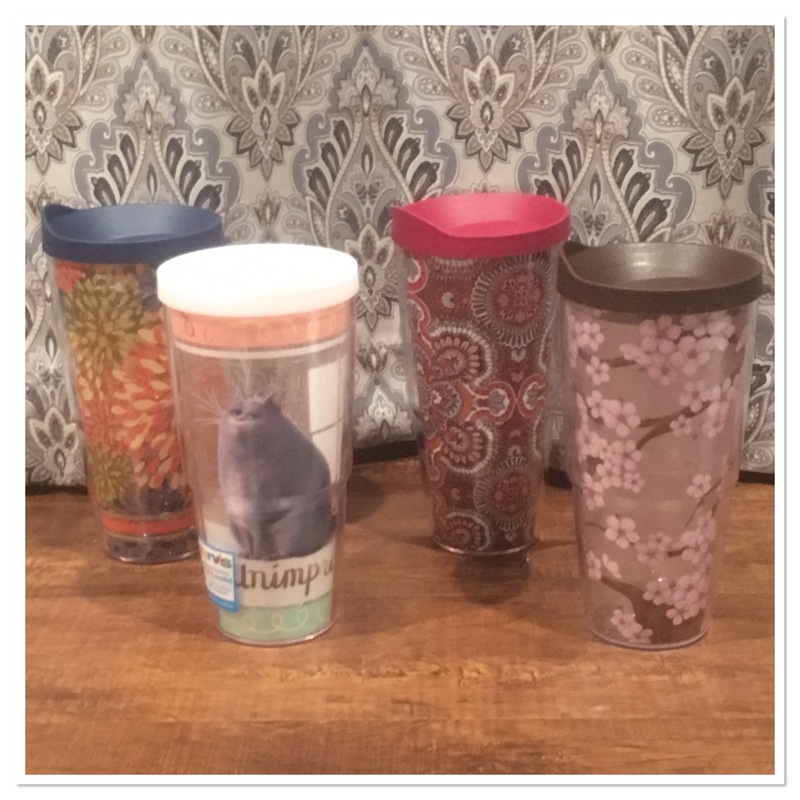 This year, Tervis came out with some adorable new prints and The Secret Life of Pets! When I saw Chloe I knew I had to have her! !I seriously would have camped out in a store waiting for them to get stock in of Chloe. She’s a cat after my own heart. Who else could say they are stuffed and can’t eat one more bite, but when she sees a cake all of a sudden she has room for more. I just love Chloe. Tervis makes a wonderful gift idea too. Think about buying the 24-ounce glass in a funky print and fill it with candy or maybe even some of those single serve drink mixes, instant Teacher gift! The smaller ones make perfect stocking stuffers for kids. Tervis is the gift that will get used, year after year after year. I have had my first Tervis for about 5 years and was using it nearly every day, till I found Chloe. Now I keep one at the office and I carry Chloe with me everywhere. She keeps my hot cider warm and my ice water cold. Perfect for year round use. You can find Tervis online or at your local retailer. They have tons of designs and prints. 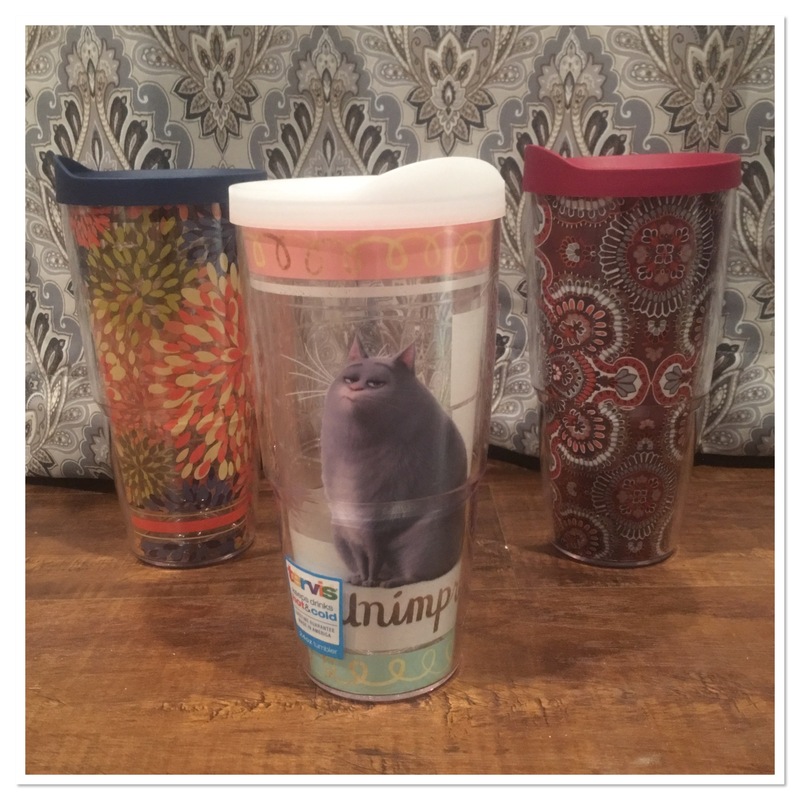 There is even an option to personalize your very own Tervis! I’ve never heard of this brand before. I’m always looking for a good hot/cold tumbler because mine seem to disappear. Nice cup, I’ve been looking for a cup like this, I need to replace the one I have with a better one. I really like Tervis, too. The walls offer the right amount of protection to keep your drink the right temperature. And they have wonderful designs. Everything from characters for kids to even some scientific tables for my daughter-in-law the teacher.